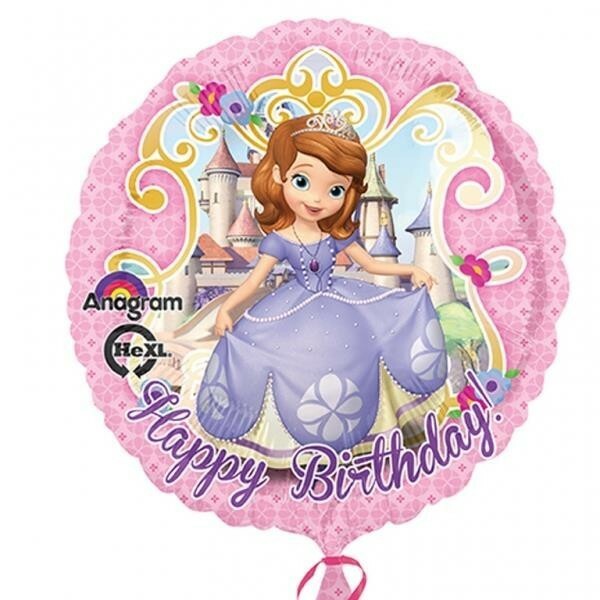 Round shaped Sofia the First foil balloon measuring approximately 17 inches. Pink design with 'Happy Birthday' text. Perfect gift or party decoration. Suitable for air fill and suspend or helium fill.